Traffic on I-93 in February. 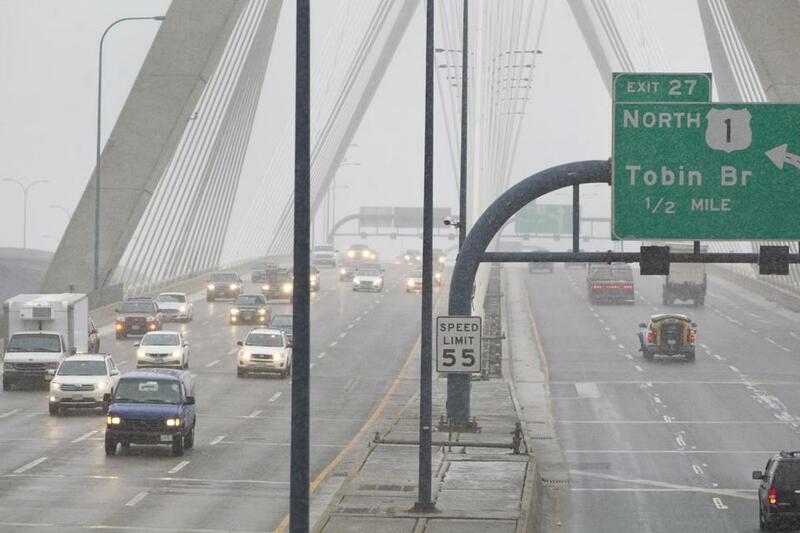 Massachusetts drivers, take heed — police officers will keep a sharp lookout this month for those who illegally send text messages and check their e-mail behind the wheel. The state has received more than $600,000 in federal funds to help local police departments cover the cost of deploying more officers, officials said. While distracted driving laws are notoriously difficult to enforce, police will be keeping a close eye on the roads. Massachusetts banned texting while driving in 2010, as part of a safe driving law that also banned those under 18 from using a cellphone while at the wheel. Enforcement has grown stricter in recent years, according to state statistics. In 2015, police handed out more than 6,100 citations, up from about 3,350 in 2013. Distracted driving poses a significant threat to public safety. From 2010 to 2013, 184 people in Massachusetts died in crashes that were caused by distracted driving, state officials said. One of them was Howard Stein, who was killed five years ago when a 17-year-old driver who was programming her GPS crashed into his car in the breakdown lane on Route 2. The group supports pending legislation that would allow talking on a cellphone while driving only when using hands-free technology. The state Senate approved the measure in January, and a similar bill is now before the House Ways & Means Committee. Police officers say catching drivers who are texting is tricky because they typically hold their phones in their laps. In Cambridge, where police issued 527 texting citations last year, “spotter officers” will walk up to cars at red lights to look for people who are texting or reading e-mails on their cellphones. “We will have an increased presence and vigilance,” said a police spokesman, Jeremy Warnick. In Newton, officers will be deployed in both marked and unmarked cruisers. Melrose police plan to keep a close watch on commuters driving to work or rushing to the train. Arlington police plan to pursue a different enforcement strategy this month — a campaign on Twitter, Facebook, and other social media to remind people not to text while driving. Kathy McCabe can be reached at Katherine.McCabe @globe.com. Follow her on Twitter @GlobeKMcCabe.